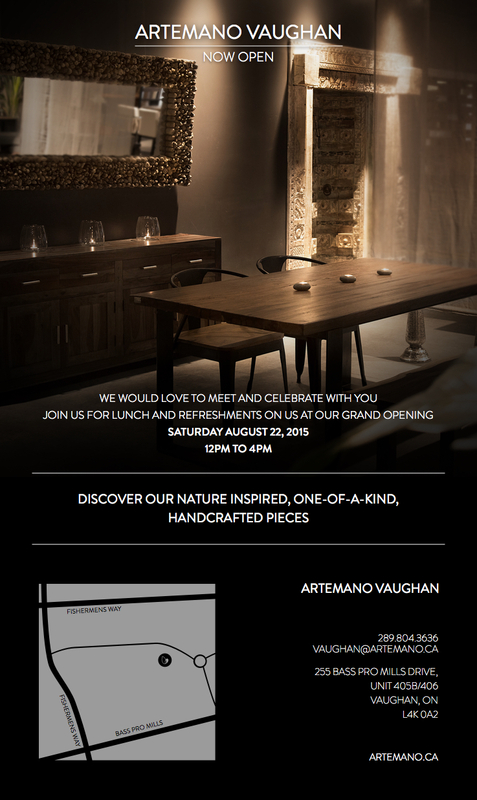 You are invited to the opening of the new Artemano in Vaughan Mills! Great food from Food Dudes, DJ and a chance to win a $3,000 shopping spree to shop from their beautiful home furnishings!! Please RSVP to me directly with how many guests you’d like to bring at gailmcinnes@gmail.com and we will see you there!